An official preview for the upcoming DUNKMASTER DARIUS skin has been posted! 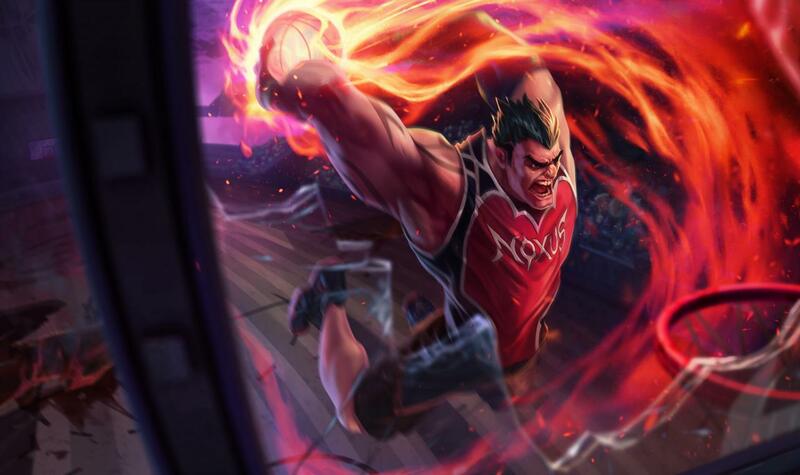 "With the first pick in the draft, Noxus selects… Dunkmaster Darius! No surprise there. 6 feet 5 inches. 266 lbs. 34 ½ inch arms. His signature dunk, the Guillotine, cleaves through defenders – one guy actually died trying to guard him at the scouting combine. He’s the best player in the history of the game and he knows it. When Dunkmaster Darius hits the court, the entire League is going to stand up and take notice." Perhaps he'll be slamming on to the PBE soon!